From boots to long sleeves to pants to jackets to Halloween to football tailgates to pumpkin pie to ladies in yoga pants, what’s not to love about autumn time? For us fashion-forward folk, fall is an opportunity to step our style game up in more ways than one. The cooler temperatures allow for more layering without sweating right through your threads, allowing us to tailor our looks for a more personal touch. Boots (I missed you) and chunkier sneakers take the stage as our summer shoe arsenal gets a break. Thicker textures and silhouettes play a more important role in adding additional depth and character to otherwise flat outfits. To put it simply, fall fashion freakin’ rocks. 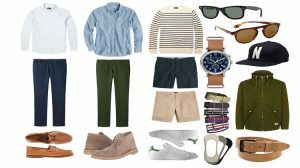 As always, this men’s fall fashion essentials guide is meant to serve as only a reference and is based on my personal opinions. I touch mostly upon the casual Americana/workwear style as it’s arguably the most popular and accessible sect of men’s fashion. It’s also primarily what I wear (practice what you preach, yo). A bit colder where you’re at? Check out my Winter Fashion Wardrobe Guide. Not gonna lie; this is easily my favorite category of apparel and a quick glance at the variety of jackets in my closet would reaffirm this quite definitively. 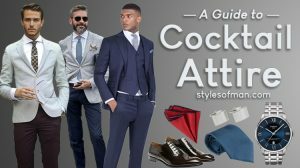 Outerwear (clouterwear) often acts as a statement piece and can bring balance to your outfit (as well as throw it off entirely), so knowledge of what jackets go with what is important in building a solid lineup of men’s fall fashion essentials. Functionally, the advantage of layering a jacket is the layer of trapped air between garments acting as an insulator, which keeps you warm. For the sake of conciseness, I’m not going to go too in depth in terms of fabrics and materials for fall. If you’d like to learn more about the different fabrics prevalent in fall fashion, reference the materials section my Winter Wardrobe guide. If I had to recommend a single jacket for fall, it would probably be a rugged waxed cotton coat in a darker color. The key differentiator between one of these and a regular jacket is the special treatment of the outer cotton shell. Waxed cotton jackets are waterproof (at least they better be) and ward off light-to-medium rainfall and brush off the wind with ease. If you’ve got the cash to spend and like the more traditional styles of waxed jackets, shoot for a Barbour Ashby or Bedale (make sure to get a model that’s manufactured in the UK). Alternatively, you can even wax your own favorite jacket. These are hooded coats adapted from traditional Inuit tribe outerwear and can range from light fishtail parkas to heavier fur-lined ones and everywhere in between. Not only are lightweight parkas a great statement piece, but they’re functionally umbrellas for your torso. For this season, I’d pick up a fishtail parka like this one from Fred Perry ($270). At a much cheaper price point ($50) is the L.L Bean Mountain Anorak. It also folds and stows inside its own pocket for transportation, so it’s convenient to toss in a bag in case of light rain. Nothing screams badass like a well-fitting leather jacket and a pair of indigo denim. 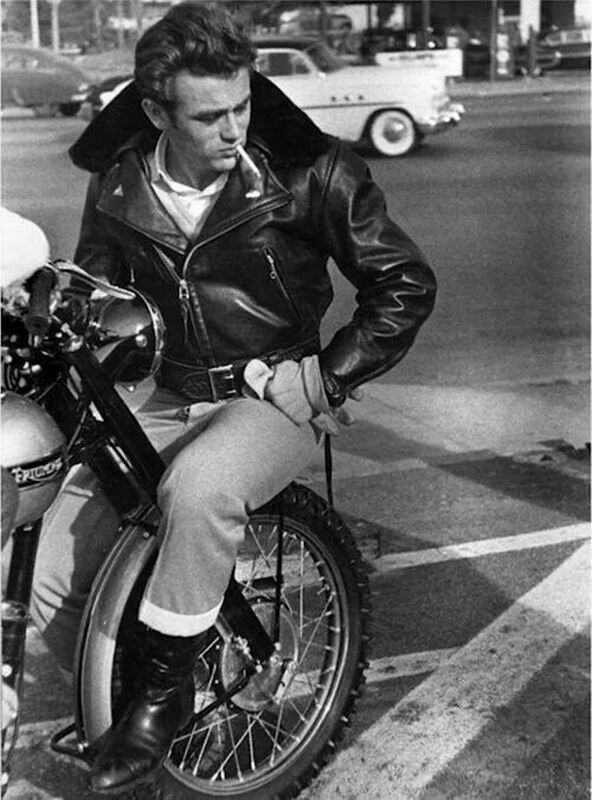 It’s arguably the definitive backbone of the rugged Americana style, with fashion icons like James Dean and Steve McQueen at its forefront. Be warned: not everyone can pull this off seamlessly. You don’t just wear a leather jacket, you need to be the m̶a̶r̶b̶l̶e̶ jacket. Leather can last a literal lifetime with proper care. If quality, ethics, and longevity is a priority, consider investing the money in a real goat or cowhide jacket as opposed to a cheap/faux/”vegan” leather one. However, if budget is limited or you’re just trying to test out the style to see if it’s a good fit for you, trying a faux leather jacket to test the waters couldn’t hurt! The usual go-to brand for MiUSA leather jackets is Schott. They’ve been around since 1913, so I’d imagine they’ve figured out the whole leather jacket thing by now. Do note that their jackets are far from cheap, but they’ll probably last your entire life. Here’s a solid review of their LC940D jacket from usuallywhatimdressed.in. 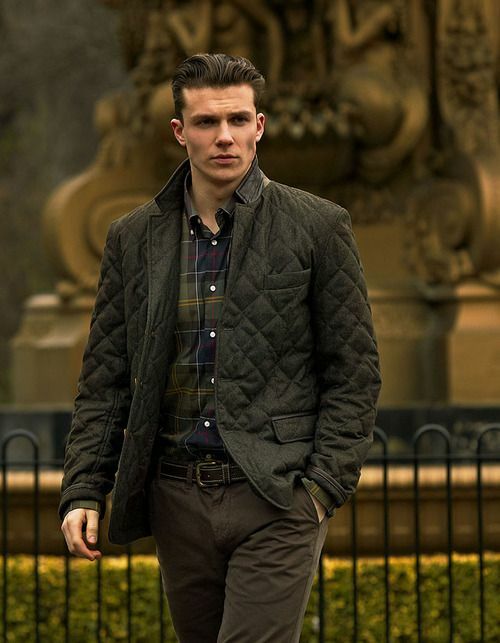 Quilted fabrics are sure to continue being popular this season and a jacket’s the optimal garment to sport this look. Quilted materials (specifically jackets and vests) are very popular in preppier male fashion, but can typically easily blend into most wardrobes. Overshirts are awesome for chillier days and can be layered with essentially anything. An overshirt is a traditionally simple collared coat. I own this one from A Day’s March that’s made from a sturdy twill fabric that’s a perfect fit for my wardrobe. The shirt may look plain on its own, but it’s an excellent final touch to more outdoorsy looks. The classic OCBD is the workhorse of many guys’ fall fashion wardrobes and who can blame them? Oxford cloth is a type of weave that’s similar to a plain canvas with yarn strands woven together instead of individually. Oxford cloth button downs are (surprisingly) made of oxford cloth. 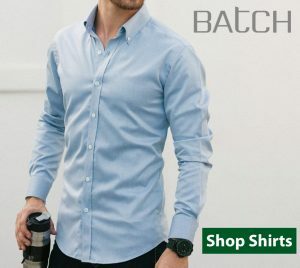 It’s a common misconception for people to call any button down shirt and OCBD, but that’s not entirely accurate. If you work in an office, you should check out our visual guide to men’s business casual! Being a medium-weight fabric, oxford cloth’s a great choice both for layering and on its own. The best part about OCBDs is that everyone will think you dress well despite the minimal effort it takes to pull it off (win-win)! For autumn, I’d shoot for some Earth-ier colors like olive, gray, brown, and tan. Check out brands like Uniqlo, Batch, or Gitman Vintage. 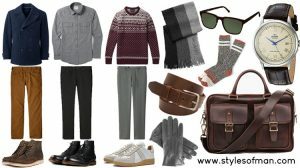 er list of men’s fall fashion essentials without some cozy, fuzzy flannels thrown into the mix. Contrary to popular belief, flannel is actually a type of soft woven fabric. It’s often mistakenly used interchangeably with the plaid pattern, which flannel shirts typically exhibit. The flannel and chino pant combo has become somewhat of a uniform for me on days where I want to be comfortable while still retaining some semblance of style. 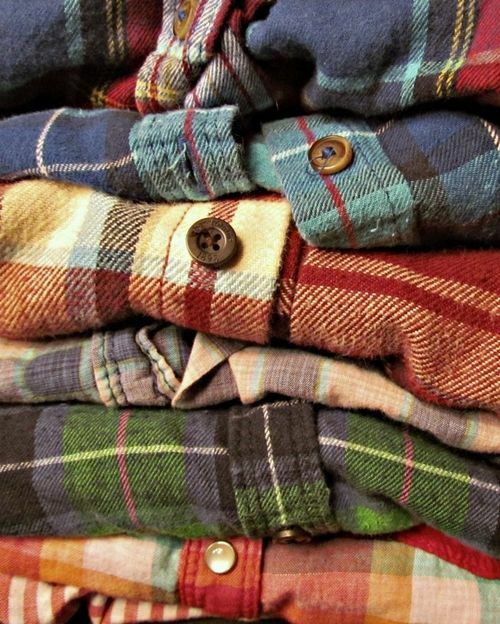 Stock up on a few flannels in varying patterns and colors since you could wear them right through winter. Some of my favorite brands include JACHS, J Crew, and L.L Bean, but you can definitely have some luck with other mall brands. If you want the perfect fit, you can check out the new made-to-measure flannels from Pacific Issue (use code styles25 for $25 off your first order). Henleys are an excellent garment to layer in the falling temperatures and kind of get slept on when it comes to men’s fall fashion. Henleys inherently have something particularly masculine about them, which ties in very well with the workwear-ish style that lots of guys go for in the fall. Though flannel shirts reign supreme as the decisive garment of the season, sweaters have to be a close second. Aside from being something to keep you warm and not dead, sweaters are a stylish way to add some (pumpkin) spice to your look. Texture plays a big role in the differentiating factors of a sweater and can add more depth and detail to an otherwise plain-looking outfit. Sweaters don’t usually deviate much in terms of shape or silhouette, so the biggest factor in picking the right sweater is fabric composition. In terms of materials, I almost always go for wool. It’s super warm, odor/stain resistant, a great insulator, and it’s fire-resistant, which I’d imagine was an early adaptation of sheep prone to sudden combustion. Some of my favorite wool sweaters are made by Howlin’, though they’re far from cheap. Howlin’s knitwear originates from Scotland (a place I’m certain knows its sheep) and is made with virgin wool that can last many years with proper care. Less expensive alternatives can be found in most shops like Uniqlo, J Crew, and Banana Republic. Because we all have days where we prioritize comfort over #aesthetic, hoodies are a power move. That doesn’t mean that you can’t look both stylish and comfy though. Pick up some slimmer fit hoodies that aren’t tight, but not boxy either. My personal favorite hoodie in terms of price, fit, and color selection has to be the American Apparel California fleece. Yes, they’re still in business. The AA California hoodie is, well, made in California and boasts a flattering slim-ish fit. It’s 100% cotton and comes in a few different colors without designs or branding. Best of all? It’s around $30! I’ve worn mine rather aggressively for a couple years and it’s still going strong. Looking for a more premium hooded sweatshirt? Check out the stuff from Reigning Champ. There’s a common misconception that hoodies are inherently unfashionable, and that’s not necessarily true. Layering a lighter hoodie under a jacket or coat can look great, especially in a casual setting. Wear it with a bomber, chore coat, or trucker jacket for a warm yet stylish top layer. Nothing’s more versatile, comfortable, or decisively manly as a well-worn pair of jeans. Denim jeans have been an essential pillar of male fashion for more than a century now. Unsurprisingly, not a whole lot has changed since Levi Strauss & Co. started selling them to consumers in the 1870s. Of course, we now have a much broader selection of cuts, materials, colors, and washes, but the core identity of the blue jean is far from phasing out. I always opt for a slim (read: not skin tight) pair of darker denim in fall and winter. It’s a safe bet to save the lighter washes for the spring. I’m a big fan of raw selvedge denim, which is why I’m stoked when the weather cools down and it’s time to bring out my favorite pair. The awesome thing with denim (and leather, but that’s for another paragraph) is that it conforms to your body the more you wear it. Unbranded makes some solid entry-level selvedge denim as does Gustin if you’re willing to wait a few months for production. Other popular raw selvedge denim houses include 3Sixteen, Pure Blue Japan, and Rogue Territory. They can certainly get pricey for the rarer fabrics and selvedge types, but these type of jeans tend to fall in the buy-it-for-life category of apparel. When I’m not in jeans, I’m in chinos so I consider these types of pants a must-have on my list of men’s fall fashion essentials. Chinos come in quite literally every color imaginable, making them a great article of clothing to fine-tune any wardrobe’s color palette. Most chino pants are made from 100% cotton with some styles having spandex added in for increased stretch and comfort. In terms of versatility, chinos are second to none. They fold into business casual looks just as easily as more casual styles. Chinos are especially great in the fall since they’re not too heavy and can pair seamlessly with boots or sneakers. I recommend the Alden fit from Banana Republic. You can snag ’em for around $25 at their extra 50% off clearance sales, which is probably the cheapest you can get them without a gun and ski mask. The washed chinos from Bonobos are also a great buy on sale and come in an impressive array of cuts and colors. If it’s a bit colder where you live, these type of pants is an excellent way to keep warm and add a touch of class to your outfit. Local climate varies, so these may or may not have a place in every guy’s fall fashion essentials list. Wool pants are typically associated with outdoor gear due to wool’s properties when wet. Though recently, I’ve seen them paired with more minimalist stylings where they work very well. The softness and texture is another big plus. It would be a crime against male fashion to not include a few pairs of boots in a men’s fall fashion essentials guide. Truth be told, I may have a boot problem but I can totally stop anytime I want. Really. Whether it’s belts, wallets, watch straps or the hides of my slain enemies, I wear quite a bit of leather. But nothing beats a solid pair of quality boots when the leaves start falling. I chose to include the Sutro Alder and the Thursday Boot Scout for this men’s fall fashion essentials post since I’ve been wearing them quite a lot lately. The supple leather on the Sutro Alders is awesome and the fit is absolutely spot on. I own a pair of Alders in both Honey and Black and they’re still my favorite boots after years of adventures. 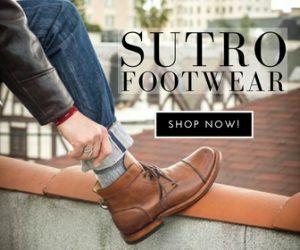 See Sutro’s new collection at stylesofman.com/sutro. 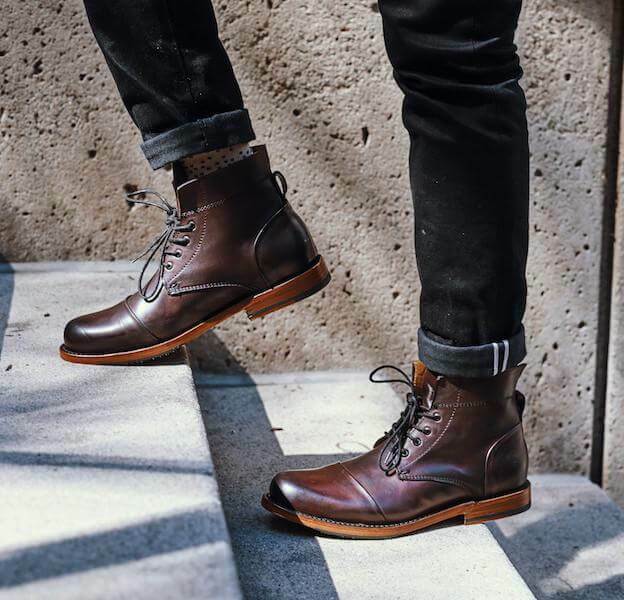 For those interested in learning more about boot manufacturers, styles, and indicators of leather quality, check out my fundamental guide to men’s boots. In my entirely unbiased opinion, that post is the best men’s boot guide in the history of men’s boot guides. Maybe ever. There will always be a place for some stylish sneakers in any wardrobe. With these kinds of shoes, I mostly look for a comfortable insole and appealing appearance. I chose to include the new Beckett Simonon Morgen trainer. It’s a German army trainer inspired design and it’s a much cheaper alternative to the Maison Margiela version. I think it’s a pretty slick looking sneaker all around. The gum sole is a nice touch for the changing fall color palette. If you’ve read any of my other posts (please, I’m begging you), then it would be apparent that I’m a big fan of Greats shoes. Italian-made sneakers in classic designs for a fair price ($169 for the Royale) is always an easy decision in my book. I’ve been seeing slip-on sneakers popping up all over the place, so I figured I’d include a nice leather laceless sneaker like the Greats Wooster in this post. Unlike the much cheaper Vans slip-on, the Wooster is lined with soft leather and placed atop a Margom rubber sole. Pair these kicks with some slim chinos or wool pants for a low-effort look that delivers. Bonus points if you can flaunt some scandalous ankle on the warmer autumn days. Fall means it’s time to hang up the flimsy canvas belts you may have been using for the summer. Truth be told, I don’t doubt that you own a leather belt. I used to exclusively wear cheap belts from department stores until I switched to ones made of higher quality leather and more durable hardware. Some American-made beltmakers that I’ve had great experiences with are Orion. Both options are far from cheap, but they’ll last you the better part of a decade or more. Check out Orion’s eBay page for auctions on returned merchandise. I managed to pick up a seemingly brand new belt for under $30. No matter what style I learn in towards for the day, I’m always wearing a watch on my wrist. There’s something inherently timeless (pun absolutely intended) about a clean watch as part of a man’s personal style. Entry-level watchmakers like Timex and Seiko offer solid, affordable watches. Just be wary of all those cheap Instagram watch brands masquerading as luxury timepieces (Imgur: How to create a unique and minimalist watch brand). Most recently, I’ve been wearing my Kronaby Sekel all the time. It’s a “connected watch”, which means it has smartwatch functionality like notifications, music control, and IFTT integration with the look of a traditional watch. I always enjoy opportunities to tie technology not only into my lifestyle but my fashion style as well. This stuff straight up rocks! It’s a waxy paste that restores and adds water resistance leather boots, though I suppose it could also waterproof your belt if that’s of any value to you. It’s awesome for kickin’ some new life into some worn-in leather boots or to protect them from light rainfall. Be warned that it does darken the leather it’s applied to by a few shades. If you’re unconditionally in love with the color of your boots, it’s worth finding another alternative. Best of all? It’s under 6 bucks. 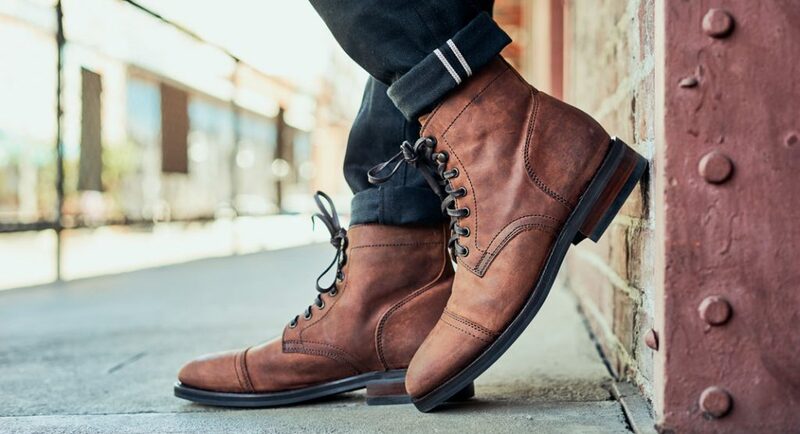 These are a must for any men’s fall fashion wardrobe if you’re an avid boot-wearer. Not only do they keep your toes warm and happy, they’re also a great odor-resistant solution to sweaty boot feet. Wool socks tend to be thicker than cotton or synthetic ones, so be sure to account for that if your favorite pair of boots fit tight. Some of my favorite wool socks are from L. L. Bean and Anonymous Ism, but both brands charge a premium. For sheer functionality, I’ve found the Kirkland (Costco brand) wool socks to be the best value, especially if purchased on sale. 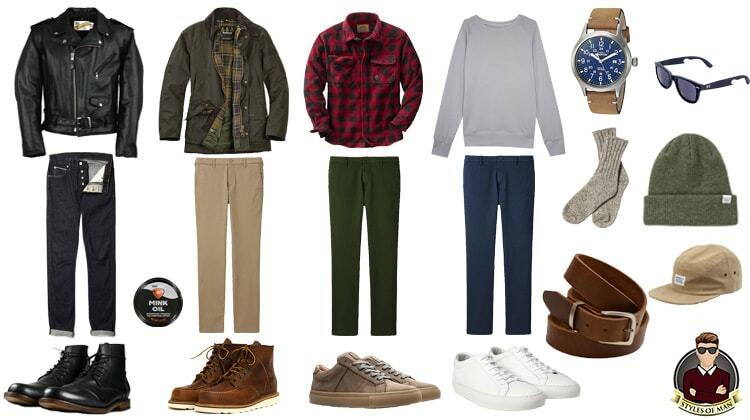 What would you add to this list of men’s fall fashion essentials? Feel free to shoot me an email or slide into my DMs!